Gingham Archives - Do You Speak Gossip?Do You Speak Gossip? Happy April 1st, aka April fool’s Day! This month’s wishlist is in total spring mode. 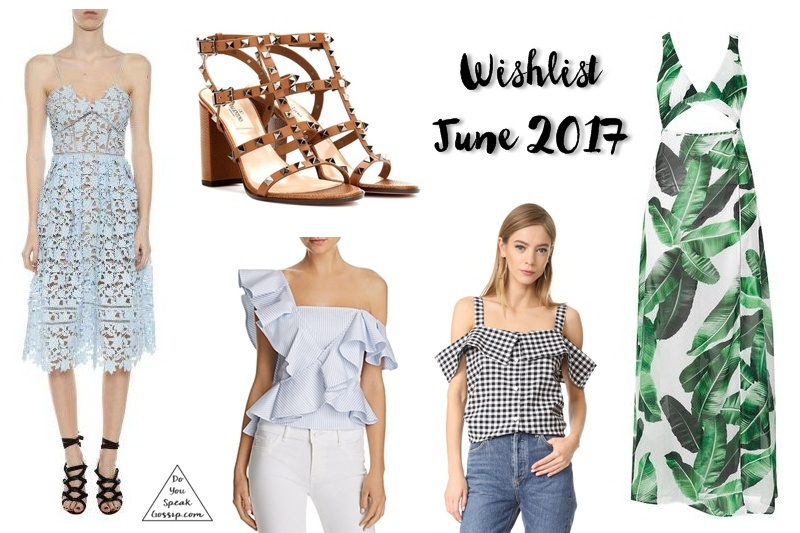 Pastels, florals and prints, all in one wishlist! I usually don’t like florals on me, but in small dosages, and pretty colors they can really lift your spirits up. This spring I want to indulge in a pair of floral pointy pumps, like the ones above. And I know I already got a dress in that gingham print, but I’d really like to also have a midi skirt in it. Everything is so pretty, and I really can’t wait for more sunny days, and spring clothes. Click on the links (or the widget below) to be directed to these products. Photos taken from the sites linked here.